On Saturday, Jan. 19, we lost our friend and father. Floyd passed with his daughter at his side. Floyd C. Dyer, Jr. “Broomstick,” 88, of East Berlin, was the husband of the late Dolores (Rittner) Dyer. Born in New Britain, on Oct. 19, 1930, to Floyd C. Dyer, Sr. and Ethel (Shaw) Dyer. After attending Berlin Schools, he joined the Marines-- Lance Corporal 3rd Marine Air Wing Aviation Specialist. Floyd worked for the same company for 59 years starting as Roland Products and ending as Arkema until they closed their doors in Berlin, as a foreman. 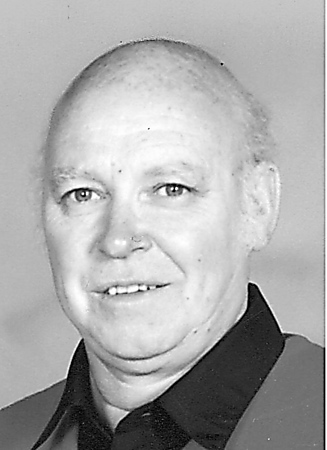 He was a member of the Central Connecticut Striper Club, the American Legion and a retired volunteer for the EBVFD. Floyd lived his life to the fullest. Horseshoes, hunting, cards, golf, bowling, camping, and pool, but fishing was his true passion with his biggest striped bass at 59 pounds. Floyd was the go-to man for his friends to fix or solve anything. The best catch of his life was his wife, Dolores of 67 years, who passed on Sept 3. He leaves his daughter, Judy and Sam Lapureta of Berlin; son, David and Dori Dyer of East Berlin; son, Jeffrey Dyer also of East Berlin; two grandsons, Jonathan and Joshua Dyer; and many nieces and nephews. Floyd also leaves his sister, Clara Charest of East Berlin; a brother, Richard Dyer of New Hartford; and brother-in-law, Edward and Diane Rittner of Burlington. He was predeceased by siblings, Linwood, and Henrietta Dyer. Floyd also leaves many friends and his cat, Ollie, who never left his side. Funeral services are Saturday, 11 a.m. at Carlson Funeral Home, 45 Franklin Square, New Britain. Burial with military honors will follow in Wilcox Cemetery, East Berlin. Calling hours are Saturday morning, 9 to 11 a.m. at the funeral home. In lieu of flowers, donations may be made to the American Red Cross, 209 Farmington Ave., 3rd Floor Biomedical Services, Farmington, CT 06032 or to a charity of the donor’s choice. Please share a memory or note of sympathy at www.carlsonfuneralhome.com . Posted in New Britain Herald, on Tuesday, 22 January 2019 19:57. Updated: Tuesday, 22 January 2019 20:00.